The Bauchi State Police Command says it has arrested a 25-year-old man, Maikudi Mohammed, for being in possession of the head of his child. In a statement on Monday, the Police Public Relations Officer, Bauchi State Police Command, Haruna Mohammed, said the suspect was arrested in Misau town in the Misau Local Government Area, following intelligence report that he was in possession of his son’s head. The statement said the suspect wrapped the son’s head in a cloth. 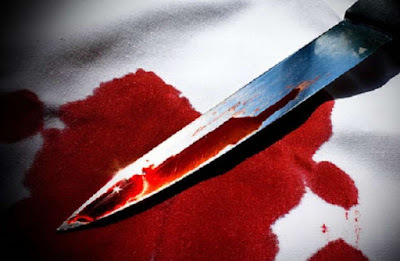 It added that preliminary investigations revealed that the suspect and his accomplice, one Damina Mohammed, went to a cemetery in Galambi village and unearthed the corpse of the boy. The police said the head was to be sold to a customer, who fled the community after the suspects were arrested. The statement said, “On July 7, 2016, at about 3pm, following intelligence report, one Maikudi Mohammed, of Galambi village was arrested with a suspected human head wrapped inside a cloth by police detectives in Misau town. “Preliminary investigations revealed that the suspect conspired with his accomplice, one Damina Mohammed, 26, of the same address, and went to a graveyard in Galambi village. He cut off the corpse’s head with the plan to sell it to their customer, who is now at large. The police said the case was still under investigation.